�����The last important auction of the year was hosted by Legend Rare Coin Auctions last week in Las Vegas. The Regency Auction XV garnered over $2.6 million in a fast-paced sale that saw some very exciting prices realized. Included was a run of tremendously toned Morgan Dollars; common dates with not so common color, many of which realized from $3,000-$6,000. 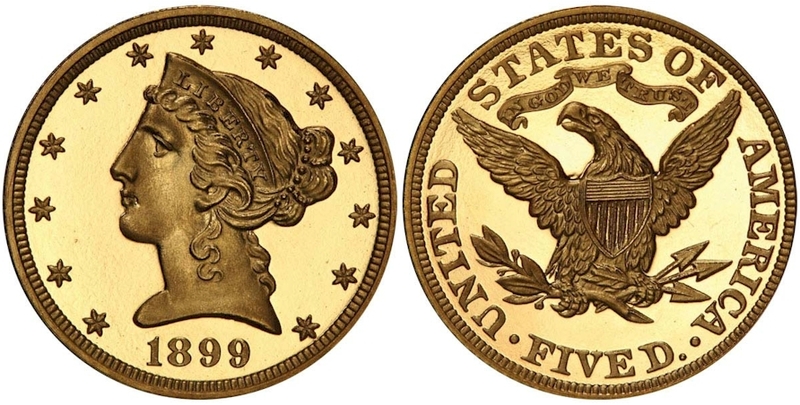 The highlight of this sale was easily the 1899 $5 Gold in PCGS PR68+ Deep Cameo which sold for $146,875. This is the finest known in a PCGS holder. Below are some of the other significant coins in this sale. 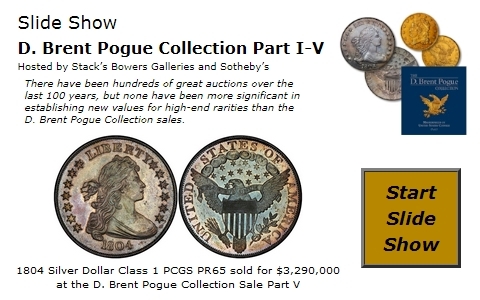 �����While auctions throughout the year featured a vast number of true rarities, the year is winding down on a rather slow note for most of the more common coins in dealer inventories. If you are bargain hunting, this is the time to begin your search. Dealers on the teletypes have been offering coins from their older inventory at discounts, mostly to free up cash for the upcoming FUN Show in early January. However, rare coins are still rare and dealers are holding steady on the low pop selections. 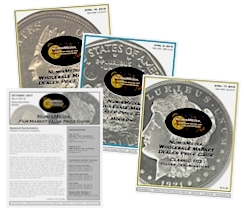 �����Recent teletype activity continues to be monopolized by bullion coins as dealers are trying to keep up with demand from their customers. With Silver below the $14.50 mark, buyers are trying to purchase as many Silver Eagles as they can afford at these low levels. Silver Dollars in VG and better are trading at $23,325 per bag of 1,000 and 90% Silver is currently $11,750. �����This is our last Market Report for the year. Have a safe and happy holiday season!